Every generation faces unique challenges. The first-century Church had Caesar's lions and the Colosseum. And, while it might seem like an unlikely comparison, the challenge of living with popular culture may well be as serious as persecution was for the saints of old. Today we witness the tremendous power of pop culture to set the pace and priorities of our lives. We simply cannot afford to be indifferent about culture's influence -- nor can we escape it, glibly condemn it, or Christianize it. 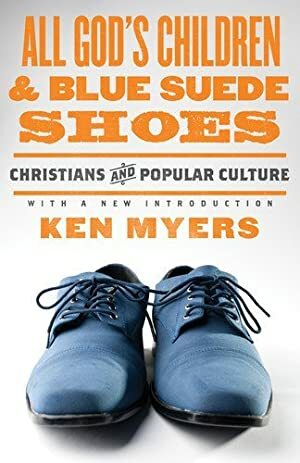 Cultural expert Ken Myers helps us to engage pop culture from a historical and experiential perspective so that we can live in it with wisdom and discernment. Track It. This book has been $6.59 within the past year. Log In to track Ken Myers on eReaderIQ. to be notified each time the price drops on any book by Ken Myers. to stop tracking Ken Myers. We started tracking this book on March 15, 2012. This book was $9.59 when we started tracking it. The price of this book has changed 53 times in the past 2,592 days. The current price of this book is $9.31 last checked 10 hours ago. This lowest price this book has been offered at in the past 90 days is $9.00. This lowest price this book has been offered at in the past year is $6.59. The lowest price to date was $2.99 last reached on June 30, 2014. The highest price to date was $13.80 last reached on September 21, 2017. This book has been $13.80 one time since we started tracking it. We last verified the price of this book about 10 hours ago. At that time, the price was $9.31. This price is subject to change. The price displayed on the Amazon.com website at the time of purchase is the price you will pay for this book. Please confirm the price before making any purchases.